Since 2010, I have been honored to be part of your love story. As a wedding Photographer, I get it. Every detail matters. 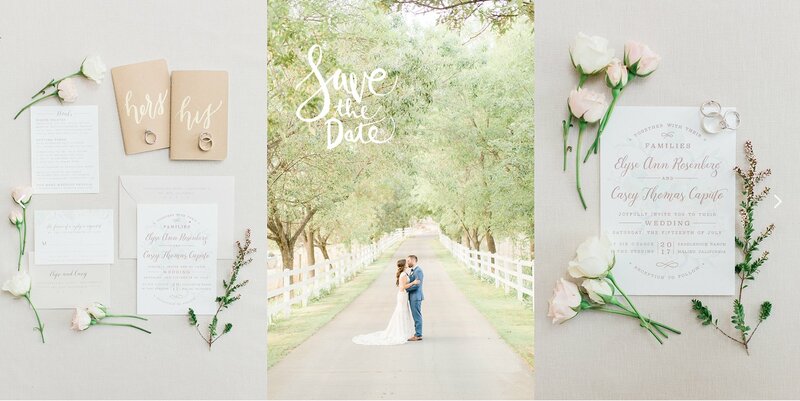 From your beautiful engagement session to choosing your favorite images. Invitations that include your wedding colors, the right script and your wedding theme are all part of what makes your day special. These are the important details that you’ll cherish forever. It’s not everyday you take the time to think about how you want to announce your special occasion. In a digital world, the printed invitation now more than ever ignites excitement and conveys the utmost sophistication. But it doesn’t just stop at the invitation; coordinating day of stationery add the special details to share your unique voice to your guests. From Ready to Order to Custom Design Suites, there is an invitation just for you! Based in Raleigh, North Carolina & creating for clients worldwide. Magnets or Cards with envelopes are $2.00 ea. Cards are professionally printed on high-quality premium, 80 lb. glossy card stock. Your font colors, design colors & font style are fully customizable. Complimentary professional editing of your photos (if needed) is included. You will be emailed a proof within 24 hours (usually much sooner!). Delivery within 3-7 business days.